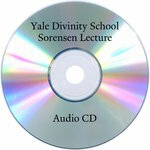 NOTE: Due to processing and duplication time associated with CD's, shipment of audio lectures occurs 10-15 days from date of payment. We thank you for your patience! In all cases we have done our best to provide clear audio recordings. Because many of these lectures are dated, and were originally recorded on audio cassette or audio reel, there are occasionally small gaps or cuts in the audio. Please know this is not the norm, but in the cases where this occurs, it is not a reparable issue. Lecture 3: Consider the Lilies of the Field: Should a Christian Love Nature? 1997 Ensign Lecture by Sr. Helen Prejean, C.S.J.